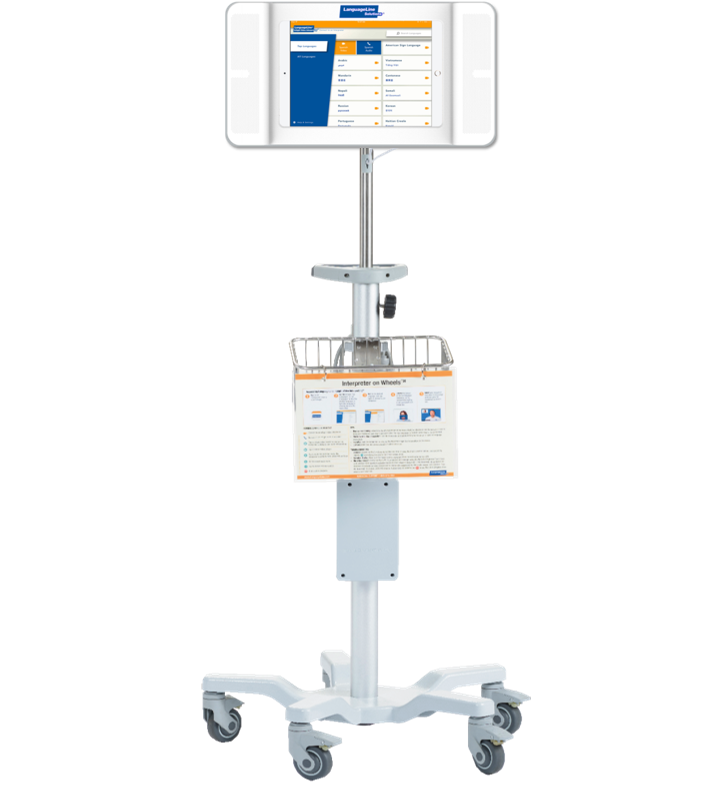 The Interpreter on Wheels®with LanguageLine TrueSound™ is an all-inclusive, ready to assemble stand with a secure audio amplification enclosure and tilting head. The adjustable rolling stand provides effortless movement and mobility to maximize effective video interpreting. LanguageLine’s exclusive TrueSound enclosure delivers a clearer, more distinct InSight® interpreting session. The rolling stand is supported by a five-wheeled sturdy base, with lockable casters, which allows for effortless movement throughout your facility to maximize effective video remote interpreting. No wires, no batteries, no charging, just great sound! TrueSound Enclosure: Width 15 in. / Height 8 in. Cart: Weight 28 lbs. / Width 23 in. / Height 49 in. - 58 in. / Weight Capacity: 50 lbs. Utility Basket: Height 6.5 in. x Width 11 in. x Depth 6 in. Custom quote for on-site assembly. To receive a quote for on-site assembly, consult your LanguageLine Solutions Account Executive. QUESTIONS? 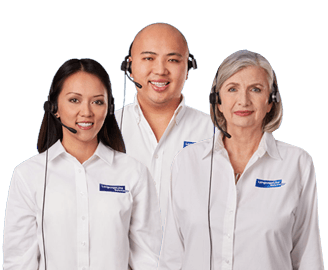 Contact your LanguageLine Solutions Account Executive or Customer Service at (800) 752-6096 or customercare@languageline.com.